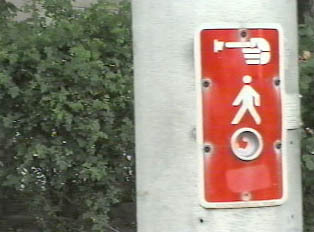 In the downtown of any city, there are crosswalks with walk lights, and, although one must always use caution, these crossing areas are reasonably safe. 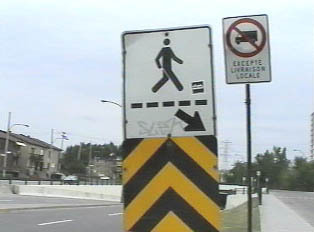 At certain junctures, there are walkways built across the roads, so that pedestrians can cross at any point without waiting. 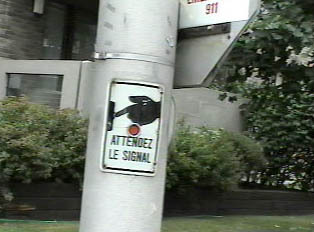 Pedestrians will not find as many walk lights in smaller neighborhoods and towns; one must simply pay attention.